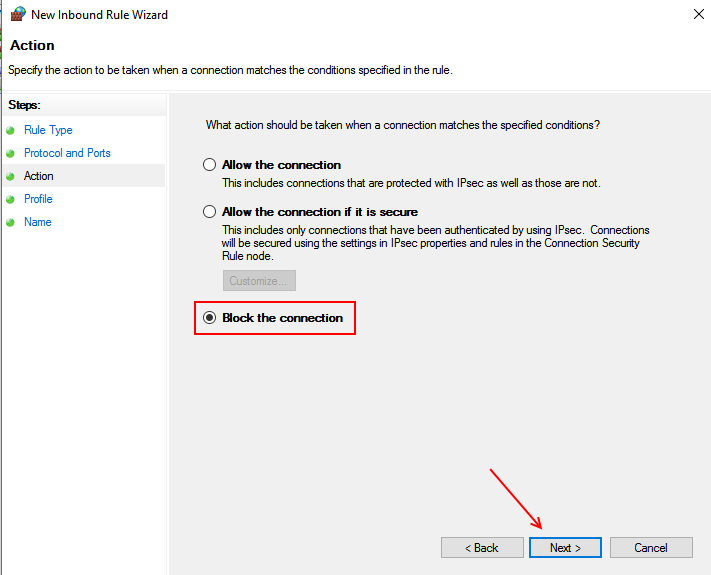 Here in this article we will tell you how to block ports in firewall program of windows 10 pc. For example, in these times of malware and ransomware hitting the PCs across the world, it has become imperative to block certain ports like 139, 445 and 3389. Now, lets see how to block a specific port in windows 10 computer. 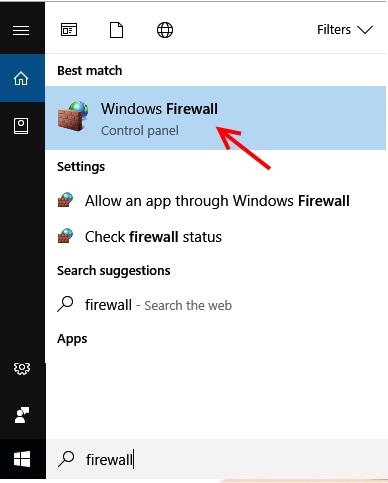 Step 1 – Search Firewall in the taskbar search of windows 10. Step 2 – Now, click on the firewall icon you got. Step 3 – In the left bar click on advanced settings. 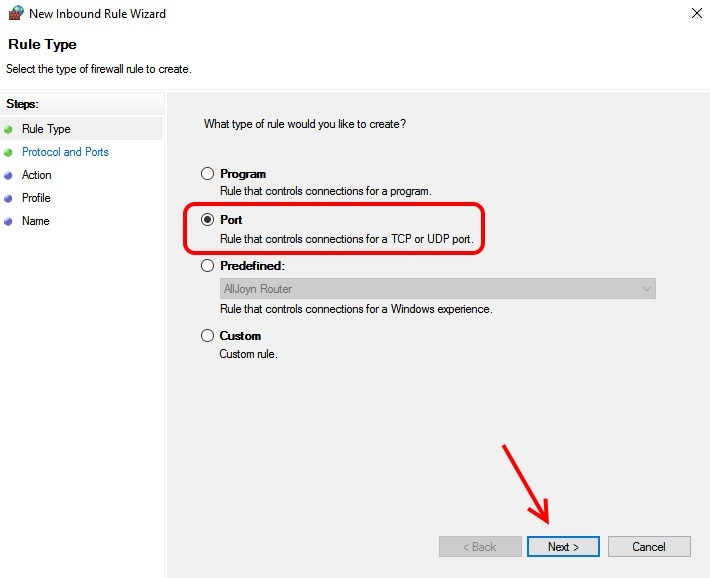 Step 4 – In the left menu select inbound rules. Step 5 – Now, click on the New rule option in the extreme right menu panel. Step 6 – Now, select port and the click on next. 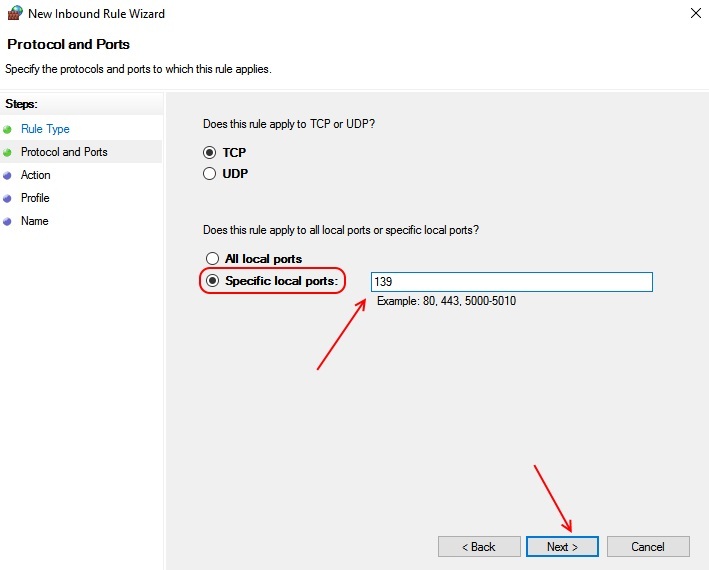 Step 7 – Now, choose specific local ports and enter port number there and click next. Step 8 – Now, choose block the connection option in this page. Step 9 – Now, in the next page leave the settings as default and again click on next. Step 10 – Finally enter any name you wish for this new rule. Step 11 – Finally click on Finish.